“Out of the screws” is one of the greatest golfing terms. 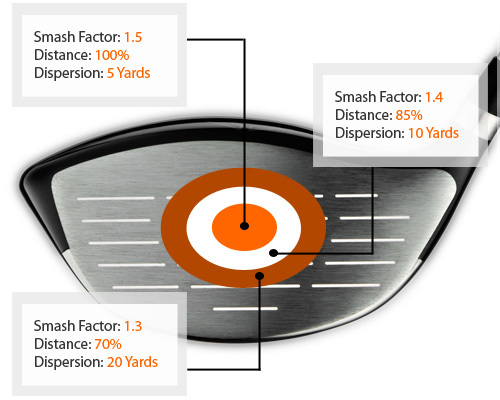 It describes that perfect connection between the clubface and the ball; there’s no jarring at impact, the launch angle, spin and trajectory are optimal, and the resulting length off the tee is maximized. It’s the greatest feeling in golf – but do you experience it enough when you play? Now the ‘screws’ may be a thing of the past, but the ‘pure’ strike – and THAT feeling that comes with it – is something that every golfer should aspire to. Unfortunately it’s only attainable through one avenue; technique. No club technology (at least not yet) can help you locate that magical spot on the clubface time and time again. Yes, technology will help your game and improve your scores, but it should also work with your swing as much as it should work for your swing. Remember; timing, accuracy AND distance all go hand in hand. Increase your smash factor, improve your game. Before you begin your quest for improvement ask yourself “What will help my game the most?” Improving your technique so you hit the sweet spot more often with the clubs you have – increasing your smash factor – or continuing to miss the sweet spot with new clubs? The latter sounds like a waste of money, doesn’t it? This entry was posted in golf, golf instruction, golf tips, sports and tagged golf fitness, golf instruction, golf lessons, golf practice, golf slice, golf tips, out to in golf swing. Bookmark the permalink.